"There's a pretty good chance you've never seen one of these before (I know I haven't), and there's a pretty good chance you won't see one again for a very long time, if ever." 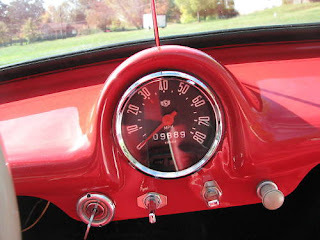 I wrote that about another Goggomobil Dart back on October 22, 2009. Well, a year is a long time, I guess. The Goggomobil Dart was built by an Australian company called Buckle Motors. It was unique to Australia. This Dart is very interesting. It's apparently a recently built car. Andy Carter runs a place called Andy's Modern Microcars. Andy's Modern Microcars builds microcar bodies that look just like the originals. 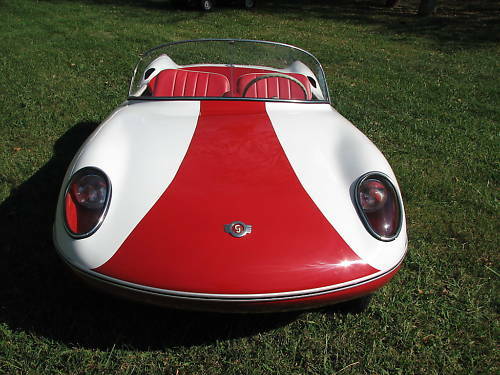 Besides the Dart, he creates Messerschmitt, TG500 (Tiger),Isetta, Scootacar, Kleinschnittger F125, Peel Trident, Peel P50, Bamby and Mopetta bodies. 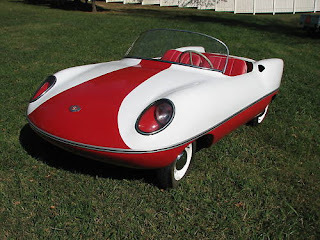 This is not my type of car, but it's an interesting recreation of a unique piece of automotive history. Located in Knoxville, Tennessee, click here to see the eBay listing. The size of the body appears scaled down, but not the steering wheel. It looks huge in the photos. not bad, fairly faithful to an original, missing wipers, boot handle, side badges, bonnet strip, wrong switches [centre 2] but looks very close to original, I'd say nice job.. I have a dart here in Aussie [amoung one sample of most other goggos], mine has the incredibly rare clamshell hardtop, I restored it years ago but due to crook lungs am affected by the 2 stroke fumes too much.. 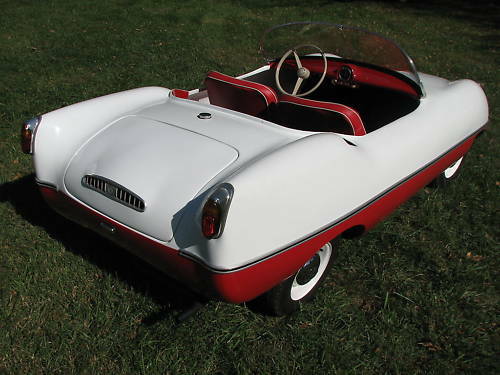 The original Goggomobil Dart came with a 300cc motor and later with the 400cc. Darts are rare even in Australia and commands high prices when they come up for sale. Micro cars have only been sought after the last couple of years and prior to this a lot were dumped or wrecked. They were never sold in large number in Australia due to the small population and not been suited to the large distances between towns in regional areas.